As part of the CCL group, FES provides specialized geotechnical engineering and construction services. The extensive knowledge and expertise of FES employees (engineers, project managers and skilled labours), ensures the company can offer its clients a total solution, providing project continuity and tailored to meet their specific requirements. 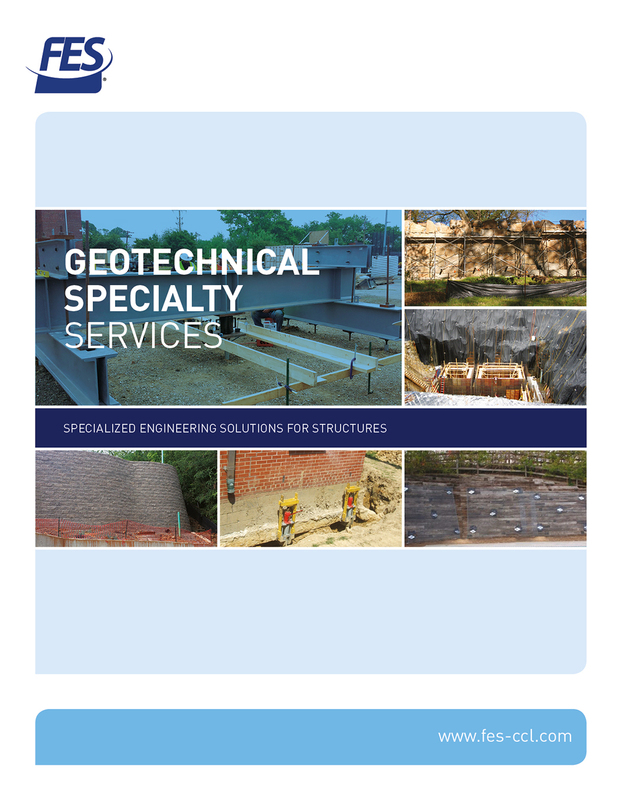 FES offers a complete geotechnical design and engineering package. The company will create innovative designs and value engineer existing construction schemes to insure efficient and cost-effective solutions for foundation slab support, retaining walls, slopes, vertical cuts and ground improvements. Engineered walls for sites requiring varied elevations. FES engineers and project managers have the expertise and experience to develop plans and construct retaining walls to add value to a project and extend its service life. FES engineers design and construct new slopes (including steepened slopes and vertical cuts) and also offer a range of solutions to repair or stabilize failing slopes using helical anchors, tie-backs and other engineered products. Specialist teams carry out site improvements and repair solutions for failed structures using the latest products and equipment.